How far would you drive to taste some authentic Jerk Chicken, or Oxtail? 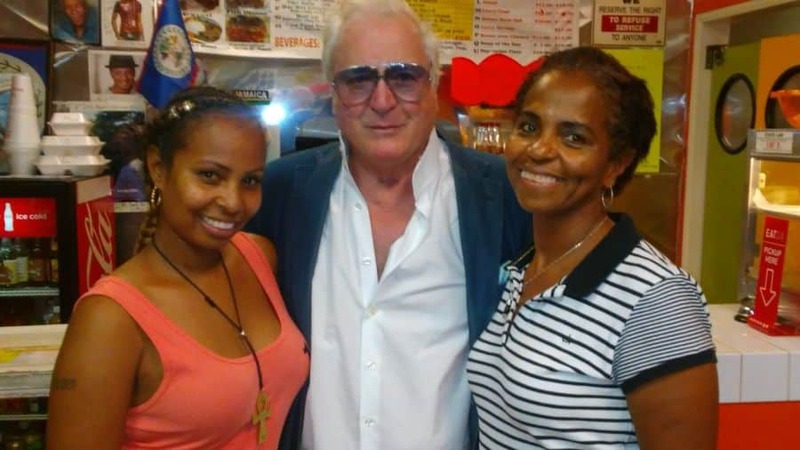 My mouth was watering as I drove to downtown Los Angeles to meet Yvonne Buller, the proprietor of a lovely, quaint restaurant. 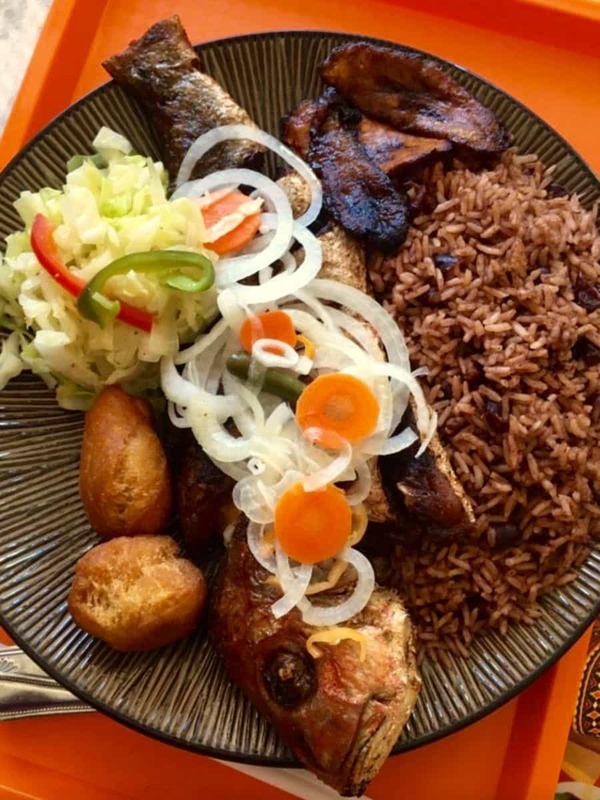 Pepper’s specializes in authentic Belizean and Jamaican cuisine. All the recipes are handed down from Yvonne’s family. While perusing the menu I couldn’t help but notice the beautiful smile on Yvonne’s face. Her disposition is one of true hospitality. Included on the menu, I was surprised to see a wide range of smoothies, which I am partial to. They offer pineapple, strawberries, banana, papaya, peach, coconut, mango and watermellon smoothies at just $3.00, served in a 16 ounce glass. My guest Rich Rossi, formerly the director of the New York International Film Festival, chowed down some excellent delicacies. He loved the Red Snapper with rice and beans. I ordered Jerk chicken, curry chicken and oxtail, which Rich shared. It was a wonderful departure from your everyday steak and potatoes meal. 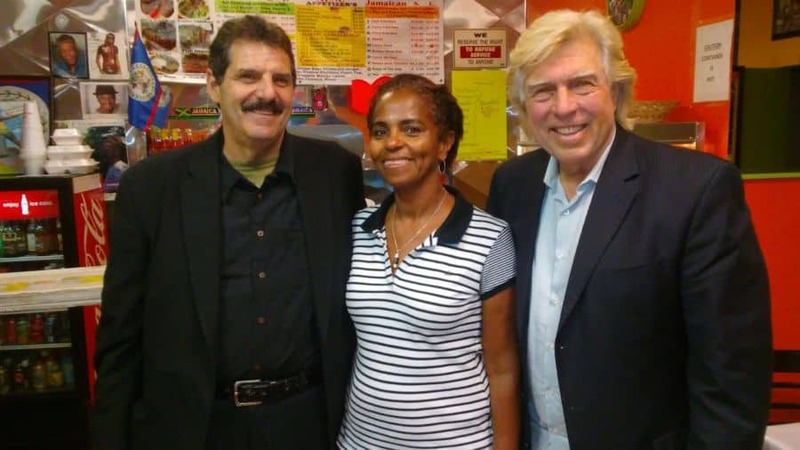 Rich Rossi with Yvonne Buller and Pete Allman at Peppers Fine Foods. The spices Chef Yvonne uses are imported from Belize. In fact, it was so good I called Clement von Franckstein, the actor from “Hail Caesar.” Clem as he is referred to, ordered the oxtail dish, with rice and beans and plantains. “It was delicious, but I couldn’t finish it all,” Franckenstein said. Other items on the menu that are very popular are Tamales, served on Tamale Tuesday and Curry Goat, along with fried fish, stew chicken and split peas and pigtail. I must say, the oxtail and jerk chicken were morite. I also recommend the Pineapple with ginger drink and the Ginger Ale. Pepper’s Fine Foods is located at 2166 West Slauson Ave on the corner of Van Ness. They are open seven days a week from 9am to 10pm and on Sunday 9am to 7 pm. 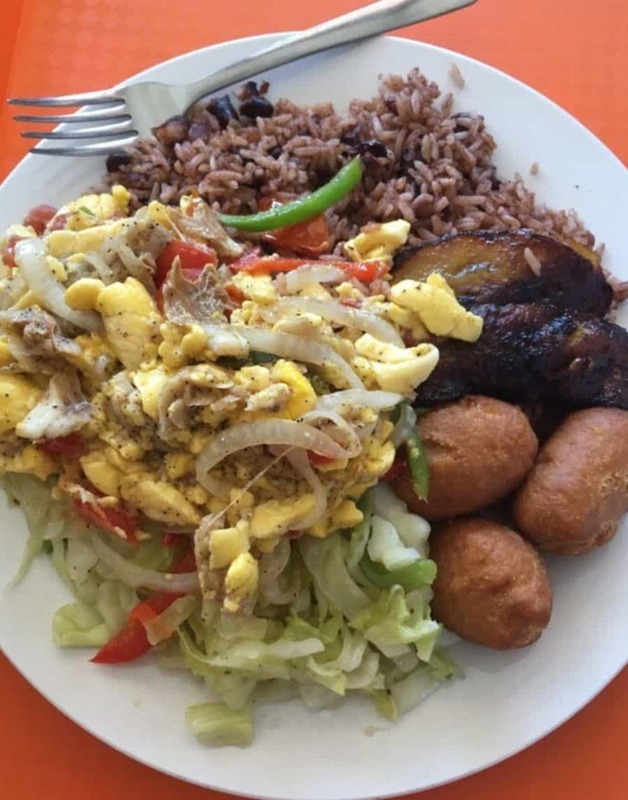 Celebrity Scene News awards four stars to Peppers Fine Foods for authentic Belizean and Jamaican cuisine. For catering events call (323) 389-8053. Tell them Pete sent ya. Clement von Franckenstein with Yvonne Buller and her daughter.